Feedback, either giving it or receiving it, is the hardest part of the writing process. As a writer you want it…but you don’t want it. As a reviewer, you want to help but you also don’t want to be “too critical”. If the writer is too thin-skinned he can never hone his skills (believe me, this is something I know a bit about…). If he lacks confidence in his abilities then his writing becomes gelatinous, shifting and molding itself constantly to the styles of the reviewers; the writer will no longer adhere to his own inner voice. If the reviewer is too conciliatory, the feedback is useless to the writer. If the reviewer is too brutal, then writer can be set back or even give up altogether. Julie Gray offers a very nice piece about giving feedback at the Script Frenzy website. 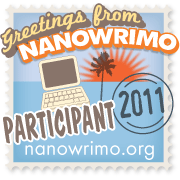 Script Frenzy is a scriptwriting spin-off of the National Novel Writing Month (NANOWRIMO) competition. She offers an excellent “how-to” to would-be reviewers and writers to ensure that the process produces the needed results (a better finished work) as painlessly as possible. Once again, it’s about advice. Both reviewer and writer should keep their common goal in mind: make the novel/story/script/poem better. Writers alienate people enough as it is (it’s a lonely profession for a reason). Don’t let your review process make it worse. This entry was posted in Ramblings, Tips and Tricks and tagged editing, julie gray, lou antonelli, nanowrimo, script frenzy, writing. Bookmark the permalink.